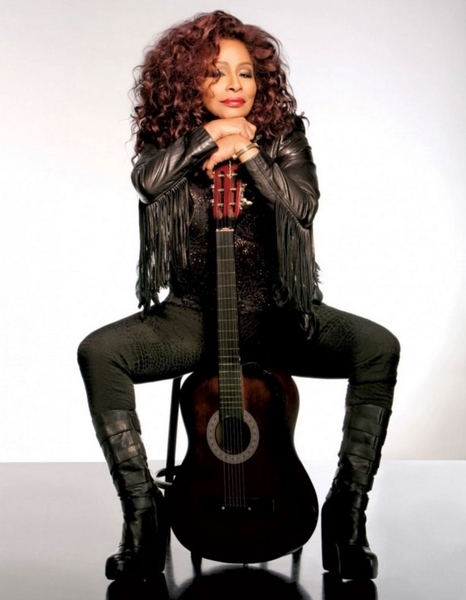 After Chaka Khan leaves the Kennedy Center stage on New Year's Eve, you won't find her at a glitzy after-party or a hopping club. Those days are behind her. "I've had lots of fun; I've painted the town, [but] I don't feel like clubbing anymore," she says. "I'm usually in my hotel room watching American Heroes Channel, stuff like 'FBI Takedowns' and '48 Hours.' I like to watch a lot of TV." The 62-year-old Queen of Funk, who began her career singing with the band Rufus, is currently working on a Joni Mitchell tribute album, which she hopes to release in February. Have you had a chance yet to reflect on 2015? Yes, it's been a good year for me. Some things happened that have really made everything more clear for me. It was a year of clarity. I had to make some changes in my whole regime and that is what brought about the clarity, so things are in a very good way because of that. You competed on "Dancing With the Stars" this year, which wasn't the most positive experience. Oh, God, that was a big faux pas. Everybody makes mistakes, and I made one. I have my regrets and most of them are private, ones that happened behind the scenes, because it was worse behind the scenes than in front of the camera. I was calling it "Dancing Behind Bars." So it's pretty tough and it seemed like it would never end. As soon as I got done dancing - getting eliminated first - I got back to myself and doing what I do: working hard in the studio and on the road. And then I get a call saying, "You gotta go back on 'Dancing With the Stars.' It's in your contract to go back on for a last dance and a musical number." I said, "I'm not dancing. We can trade off: I'll do two songs if I don't have to dance." So they got me with two songs. I did it, I'm done and I'm so glad it's over. And you will never dance again. Never dance again - except on my stage, to my music. What was challenging about the show? I was not comfortable. My partner, although he was very good, I don't think we were well matched. I'm very short, he was very tall. It was hard to keep up with his stride, for one. I think it was just a bad matching and that was probably the reason it didn't work. Plus, we were working every day, Monday to Sunday, and some of the girls on there were not only doing that, they were flying back to the East Coast doing their TV shows, and it was killing them. And some of them lasted really long. It was like a freaking cattle drive. So you won't be doing reality TV again? No, I shan't. Absolutely not. I haven't and I shan't again. Do you normally do a New Year's Eve show? Yeah, I do. It's a big night for me. Do you treat it differently than you would a normal show? Not really. The only difference is you sing "Auld Lang Syne." Every show I do is a celebration and it's gonna be a damn good show. This is your first time headlining the Kennedy Center on your own. Are you going to make sure people get up and dance? Absolutely - stuffiness is not permitted. We have to get into the groove, have fun. Are you going to get extra-fancy because it's New Year's Eve? I'll wear some sparkly stuff, sure. Sparkly and comfortable. It's been several years since you put out an album. Are you working on any music? Yeah, I am right now. I'm doing a Joni Mitchell tribute album. Oh yes, she's my No. 1 artist and songwriter, and she has been for a long time. Yes, we're good friends and she's doing very well, by the way. I want everyone to know that she's getting better and better every day. So you've been in touch with her? Yeah, I'm sending stuff to her as I do it and she's loving it, so I'm happy. It's sort of an unplugged experience. I'm using a guitar player from Nashville. I imagine he brings some twang. Yes, a little twang and funk. See, Joni Mitchell, she's actually funky, she just doesn't know it, and I'm bringing that forward. The jazz is in there. You get her, but I've slowed a lot of the stuff down because a lot of the lyrics - she's a very fast singer, so sometimes it's hard to catch her words - but I think she's so relevant, so I'm really happy to dig into the words. You know, I haven't gotten that far yet. I'll think about it when I'm on the way to D.C. I'll need some time to reflect - I'm too busy right now. Well, I'm working on the road. People say, "Are you on tour?" I say, "My life is a tour." Kennedy Center, 2700 F St. NW; Thu., 8:30 p.m., sold out. This article has been viewed 29,728 times since being added on December 31, 2015.